Stockade's free project plans are fun to paint. 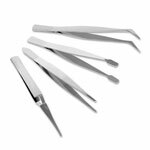 Try one today! 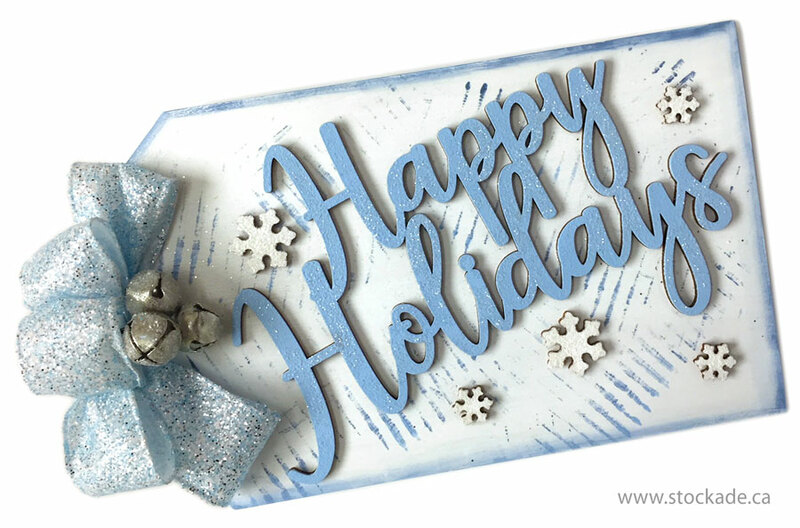 Create this glittery winter sign with supplies from Stockade: 6" x 10" Jumbo Tag - 6" x 10", 8" wide Happy Holidays Sign - 8" x 5 1/4", two 1" Traditional Snowflakes, three 5/8" Traditional Snowflakes, three 3/4" Silver Jingle Bells and ribbon 1 1/2" wide. Americana paints used: Blue Haven #7318, White Wash #7002, Deep Midnight Blue #7166. To add the sparkle Diamond Sugar Dust was sprinkled over the paint while it was wet. 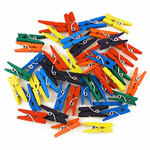 The stripe marks on the tag were created using a piece of corrugated cardboard lightly dipped in Blue Haven. 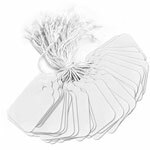 ***Tip: Mod Podge Spouncers are the perfect tool for applying paint to small and narrow wood cutouts (like the sign and snowflakes) - simply dab the paint on! 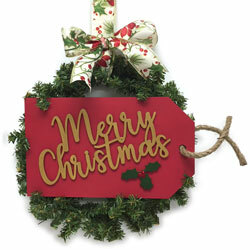 This festive sign was assembled onto a 12" wreath and hung with a pretty bow. 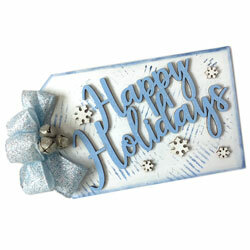 Stockade parts used: 6" x 10" Jumbo Tag - 6" x 10", 8" Merry Christmas Sign, and 2 1/2" Holly - 2 1/2". Other materials used: Country Red Americana Paint, Dazzling Metallics Glorious Gold, Stickles Glitter Glue Christmas Red and Nautical Jute Rope. 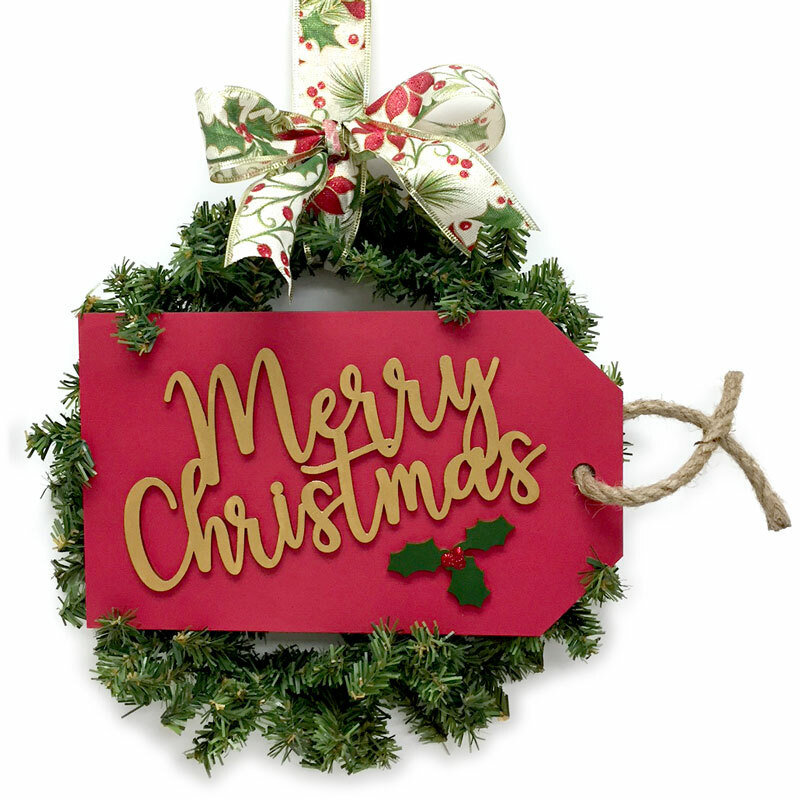 ***Tip: Mod Podge Spouncers are the perfect tool for applying paint to small and narrow wood cutouts (like this Merry Christmas Sign) - simply dab the paint on! 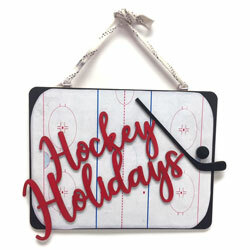 For the hockey lover! 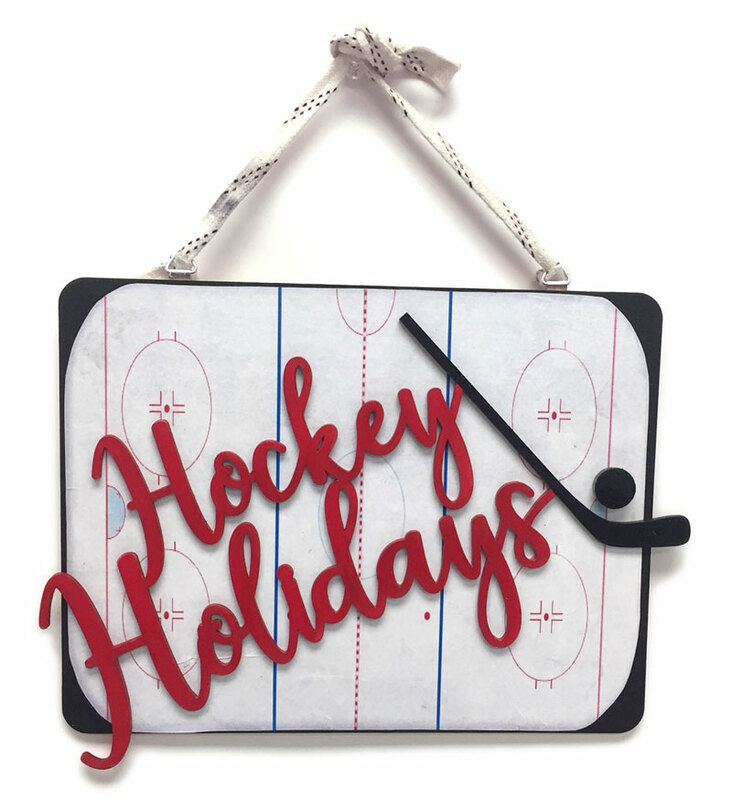 This sign is made with Hockey Holidays 12" Sign #RR5272, Rectangle #RR5522, one 3/4" Flat Head Plug #FM34, two Triangle Top Steel Hangers #HR24 and an old hockey skate lace. Americana paints used: Santa Red #7170 and Lamp Black #7067. The hockey rink image was found online, printed and then Mod Podged onto the rectangle. 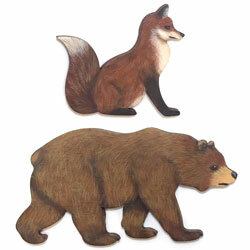 Paint these adorable wood shapes (fox #RR9322 & bear #RR9711) with Cindy's colour palette (all Americana colours). FOX - Base: Traditional Burnt Sienna. Fur: Dark Chocolate, Raw Sienna, Soft Black, Camel, Black, Warm White, Burnt Umber. BEAR - Base: Burnt Umber. Fur: Burnt Sienna, Dark Chocolate, Raw Sienna, Soft Black, Warm White, Black. Muzzle: Camel. 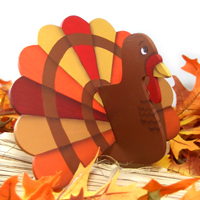 Paint your own Thanksgiving centerpiece featuring this fun dimensional turkey following Stockade's free project plan. 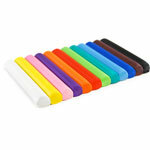 Also available is an alternative painting design with more of a rainbow tail. You can almost hear these birds chirping from their perch in these wooden frames. Create your own following Stockade's free project plan. Stockade's wooden puzzle pieces are great and offer endless design possibilities - create any size puzzle you wish. 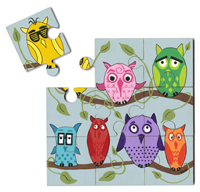 Paint this owl puzzle plan following Stockade's free owl puzzle project plan.